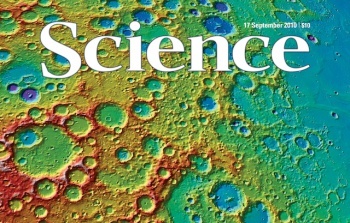 Science publisher will launch a new free-to-read journal, Science Advances, in early 2015. The American Association for the Advancement of Science (AAAS), publisher of the prestigious journal Science, plans to launch a new journal in early 2015. Titled Science Advances, this digital-only journal will differ from Science by not requiring readers to pay a subscription fee to access its content. Science Advances will aim for rapid publication, just like Science, but will only publish original research and review articles. Funded through author processing charges, the journal will be open access to readers, allowing it to reach a broader audience. Historically, open access journals have been less appealing to researchers because they seldom come with the same credibility and prestige of the well-known journals. "There are many problems with open access journals, mainly because the review process doesn't tend to be as rigorous," said David Wang, a PhD student and researcher at McGill University. Speaking with The Escapist, Wang pointed to an incident in which 157 open access journals accepted a cancer study that turned out to be fake. While having the weight of the AAAS behind Science Advances will certainly help with respect to credibility, Science's biggest competitor, Nature, launched an open-access spinoff titled Scientific Reports several years ago, and it has yet to be a game-changer in the field of open access.